Let me admit it up front: Few topics could bore me as much as avionics and the aerospace industry. I only want to know that my pilot can take off, get me to where I want to go and land the plane safely. I don’t really know the difference between the words “avionics” and “aerospace.” So I approached China Airborne with a touch of trepidation: How could I possibly enjoy a book about a topic I find dryer than dust? Leave it to James Fallows to take a subject to which I am indifferent (if not downright hostile) and turn it into a story of suspense and adventure, human and technological, and to delight me with every page. Yes, China Airborne is about aviation in China, how it started, how it has evolved and where it’s heading, yet the book transcends its ostensible subject, which Fallows uses as a metaphor for China’s evolution in general, for its advancement into the modern era, and all the challenges it faces as it seeks to break away from its role as the maker of goods designed by others to a nation that actually pioneers new technologies. Before the 1990s China’s aviation industry lagged drastically behind that of the developed world, to say the least. Most of the planes were Russian made, the airports were primitive and few, and its safety record atrocious. Now China is home to some of the world’s most impressive airports, its aviation industry is growing at breakneck speed with billions of dollars in government funding, and it boasts one of the highest air safety records in the world. How China got here is a breathtaking story, a story of China’s famous “can-do” attitude and willingness to throw itself into the projects it sets its sights on. An important part of this story and one the Chinese are less likely to talk about is the role of US entities, especially companies like Boeing and engineers and contractors from US agencies, which guided China along the way over the decades. Fallows charts China’s progress during these years and introduces us to the cast of characters who possessed the vision, the skills and the sheer bravura to move China’s aviation industry into the modern age. Fallows’ description of the proposed development of an avionics research center in a remote area outside of Xi’An immediately brought to mind a chapter in Peter Hessler’s Country Driving, where he describes the building of a factory in China that plans to manufacture the little metal rings that hold brassieres together. They have no customers, no plans for sales or marketing, no business infrastructure, yet they pour money into building the factory, get it going into full swing and hire a complete staff. Eventually, after several months, they begin to get customers. Build it, and they will come. The same, it seems, with this aviation center and its grandiose plans to transform the region to attract tourists and become China’s center for aviation research. Fallows describes how projects like these begin at the local level in China, the first step being winning the blessing of local officials and convincing them of the financial rewards to their region. A lot of guanxi is expended along the way. The dreamers will worry about getting the central government involved later. The avionics center project was immense, and Fallows’ descriptions of the building of runways in what was essentially the wilderness are amusing but also so quintessentially Chinese — we can do this, and we can do it on a grand scale! The obstacles they face — and there will be many — can be dealt with later. A pilot himself (the book begins with his preparation to co-pilot the first Cirrus jetplane in China), Fallows obviously loves this topic. The breadth of his knowledge is sweeping and I closed the book rather amazed at all I had learned about what it takes to manage international flight, how today’s jets are built, how new GPS systems are changing how pilots take off and land and making it possible to put up runways even in remote rugged mountain terrain in Tibet. As I started the book I didn’t really want to know about these things, but I was quickly engrossed. but it lacks the “soft” ingredients necessary for a fully functioning, world-leading aerospace establishment. These include standards that apply consistently across the country rather than depending on the whim and favor of local potentates. Or smooth, quick coordination among civil, military and commercial organizations. Or sustaining the conditions — intellectual property protection, reliable contract enforcement and rule of law, freedom of inquiry and expression — that allow first-rate research-and-developments institutions to thrive and attract talent from around the world. If China can succeed fully in aerospace, then in principle there is very little it cannot do. Fallows doesn’t pretend to be a prophet and he leaves this question open. But he is clear about one thing: without the requirements he lists, without greater rule of law and respect for contracts, without protection of intellectual property, China will surely fail to meet its objective. It will not lead the world in technology and innovation. The book is all about China’s dreamers and their dreams. It would be such a pity to see China’s inflexibility and insecurities hold its people’s dreams back. Boeing and Airbus see China as its most promising market and have agreed to joint ventures that involve the sharing of technology, despite the risks, because they know this is where the customers of the future are. China will play a huge role in the assembly of today’s incredibly complex jetliners, just as it does with iPhones. It will be buying more aircraft than any other nation. But can China design the next jetliner or iPhone? It cannot, Fallows argues, unless it embraces “the openness and experimentation that world leadership in fields like aerospace would demand.” China now shields its people, protects them from “harmful content” on the Internet, which Fallows says makes many Chinese feel “infantilized and diminished by this reminder that they’re not quite part of the modern world.” China has to deal, too, with its paranoia and prickly sensitivities, its inability to deflect incidents like Liu Xiaobo’s winning the Nobel Peace Prize instead of being thrown off balance and revealing its insecurities to the world. There’s a lot about China’s thirst for soft power, and how it always gets put onto the back burner behind China’s No. 1 priority, internal stability and complete power of the party. I bookmarked so many passages in this wonderful book, and I can’t go into every aspect of it that I enjoyed. It is about so much more than I can say here. It’s worth reading just for Fallows’ description of how he and his wife were bullied by plainclothes police at Tiananmen Square on the 20-year anniversary of the June 4th crackdown (an incident he blogged about at the time). All readers of this blog will enjoy China Airborne. Fallows’ accumulated wisdom of living in China, starting with his first visit there in 1986, pervades every page, and you will be thinking about where China is heading for a long time after you put it down. I can’t recommend China Airborne highly enough. Very well said. Great review. If it hadn’t been for Fallows’ name on the cover, I surely would have given this book a pass. Looking forward to picking up a copy. To suggest that China needs to be politically more open to be truly creative or even just innovative to lead in the industry may turn out to be true, but I doubt it. It may be inconceivable for us that people may get inspired even between a rock and a hard place, but to suggest that ethics (concepts of rule of law and human rights) will decide about success or failure seems to be based on a dogma, and on a wishful one at that. It’s a convenient one, as it seems to absolve Westerners of asking themselves what contributions they are making to the successes of a totalitarian political concept. But evidence so far doesn’t support that kind of dogma. Rather, fascination with economic opportunities in China have made the country a very attractive and inspiring place not only for Chinese people themselves. I find China attractive, too, in certain terms. I like the way of life, or what is sometimes called the “small tradition” rather than the big political “superstructure”. But I try to avoid a (however small) role in boosting the political system – directly or indirectly -, because I don’t believe in any kind of weltgeist which would be the judge, in terms of ethics, if we don’t do that ourselves. Joint-ventures are great sources for tech transfer. To believe that you can let go on your technological edge and see political factors finish your competitors off anyway is unrealistic. I understand that this isn’t how you would put it, Richard – but I believe that this is what these views amount to. The communist Chinese regime is a good regime. Particularly 1949 to 1980. You don’t have to rely on the official figures. Fact 1: China’s population grew by only 35 percent in the century up to 1949. Fact 2: China’s population doubled under Mao. Fact 3: Chinese women were having 6 or 7 babies in 1949. By the time of Mao’s death fertility was around 3.5 per woman (No one argues this fact – easily verified by current studies of the age structure of China’s population). So why did China’s population explode under Mao? The only possible logical answer is mortality drastically declined under Mao. That is the only possible answer. This means that China was the best place to be in the developing world in the period 1949 to 1980. Good one, JR. I think Au-Yeung is posting in the wrong thread, too. By the way, Fallows linked to this review on his site. So says someone who lives in a rich first world country. But at least you don’t contradict my facts. [B]Fact 3: Chinese women were having 6 or 7 babies in 1949. By the time of Mao’s death fertility was around 3.5 per woman (No one argues this fact – easily verified by current studies of the age structure of China’s population). This is a stupid answer. Mao’s ideology centered on “Many hands make light work”, he was constantly “dreaming” about the upcoming world war seemed too unavoidable to happen at the time – given that the inadequacy of advanced weapons for PRC, the great population is the only edge they got on the battlefield – just look at the Korea war. He knew jack about population control – all he cared is political struggle. Life expectancy is not the only rule judging “the best place to be”; I can bet you all Chinese wish they lived in Hong Kong during 1949 to 1980. Guys, can you please move these comments unrelated to the book review to the Great Leap Forward thread below? Not really a question, it’s a command. Thanks. I like this book too. Worked on a deal for Hainan Airlines back in the summer of 2010. The strategy the company laid out was good, but could have been much better if some of the structural issues Fallows addressed had been fixed by the higher-ups in the government–so yes, I can attest to the validity of his points here. Joyce, as promised, I am not permitting irrelevant comments in this thread. The life expectancy discussion is in the thread below. You can repost your comment there. Any other such comments will be deleted. Put them in the correct thread. Joyce, that’s your last chance, you are banned. If you post to the correct thread I’ll let you back in, maybe. This book, as you’ve described it, seems to echo an oft-discussed theme in fallows’ Atlantic weekly contributions: that the ccp’s human restraints form the rate-limiting drag on Chinese technological progress and innovation. This is speculative, of course, but is of Paramount importance if censorship does put a material damPer on innovation, since one of the things china needs to do besides moving to a consumption-based economy is to evolve into more high value manufacturing. The part about rule of law, however, seems much more tangible and self evident. It’s like the lessons learned from glf about communes. Who will want to innovate when everything you create gets “shared” due to weak laws and /or weak enforcement? If censorship dampens creativity and innovation, how do you explain the USSR, the unbelievable achievements in science, technology and the arts during the 80 or so years of the USSR? Just look at the list of Nobel Prize winners, the list of world class USSR movies and books, its military power, its ballet, music, painting. No Westerner could deny the breadth and depth of Soviet achievements. Have to agree with “By the Clock” here. Looks complementary to what I wrote under #3. Clock, I am really disappointed in your description of the USSR as some golden age of art, culture and science. I thought you were a better-programmed spam bot. Ballet was part of Russia’s culture since the 18th century, a bit before the USSR ever existed, wouldn’t you agree? So don’t give the Soviet Bloc credit for that. What would Tchaikovsky have said if he heard such drivel? Maybe there were some cool inventions and technological successes in the USSR, like Sputnik. But all in all, the country atrophied and experienced brain death due to being a closed society. Its factories, mired in obsolete technology, were deemed worthless when the USSR fell apart. Its airplanes and autos were poorly made, most of its consumer products were drek. We can point to some exceptions; the tanks they used against Hitler were first-rate, as were some of their other weapons. But all in all, the USSR was a wasteland when it came to finished goods. As to the movies and books of the USSR, I am coming up short. Yes, there were some excellent movies, like those of Sergei Eisenstein, but these came in a relatively slow trickle and the film industry under the USSR hardly blossomed as in France, Germany, the UK and the US. Great authors like Bulgakov were not allowed to publish their works, and Stalin had a nice track record of persecuting such authors and poets. They fared little better under Brezhnev. Under this spirit of oppression, the USSR was the dark ages for creativity and art and achievement. And again, please don’t point to the Bolshoi Ballet. I acknowledge very few achievements of the USSR — while I DO acknowledge the achievements of China under the CCP. In China the progress, at least in terms of income and productivity, are a matter of fact. The USSR was stagnant for decades, and decayed from the inside out. Unfortunately, like the USSR, China, too, has stifled free expression, and while I can name a few great films made under the Soviets, I can think of none coming from post-1949 China (a benchmark you brought up in your last comment), and very few if any great books. Chinese art has been very popular in recent years, but we’ll see if it stands the test of time. Censorship and closing off the people’s minds to the world is the kiss of death, and as long as they are a part of China’s policy the country can only go so far. And while they have come very far indeed, they cannot cross the line to become a true world-leading innovator as long as it practices thought control. JR, maybe we’ll have to agree to disagree. Adherence to rule of law and universal law will matter. China can only go so far if it fails to honor contracts and intellectual property. Its reactions to criticism (such as its bellicose threats against Norway and attending nations of the Nobel Price ceremony) will keep it apart from the global community, making them something of an odd throwback to the Cold War. Most of China’s huge leaps in the aerospace industry were facilitated by experts in the US; it has not yet demonstrated an ability to truly innovate in this industry, and anyone who has worked in a Chinese company can tell you that there IS a creativity problem caused by rote learning, lack of inquiry, lack of information/knowledge sharing, and a built-in aversion toward free thinking that calls into question the thinking of your colleagues and superiors. Sure, there are exceptions and China has done all sorts of great things. But it has yet to design the next jetliner. It has hardly a single international brand of any product (a point Fallows makes), because its companies have not led in innovation. China is a thrilling place to be. So young, so full of life and dreams and optimism. I miss it more than I can ever say here. But it does have self-imposed limitations that I encountered virtually every day when I worked with Chinese companies, and I agree with Fallows, that only until China becomes less obsessed with emphasizing its specialness and uniqueness, and more interested in nurturing creativity and innovation — until then, China’s future as an innovator in the forefront of technology is limited. It stings (a little) that some of you have so little interest in the industry that brought me to China and kept me here for 7+ years, but I’ll forgive you as surely this book has won you over. 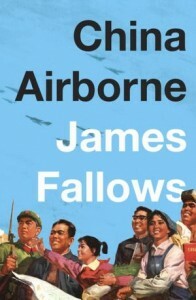 I met James Fallows in Linyi when I invited him down to see our flight school and I’m mentioned in Chapter 5, and I’m good friends with “Joe T.”, so I’m completely biased, but I think the book is fantastic and outlines succinctly everything about aviation in China that I, unlike Fallows, have been boring everyone I encounter with for years. I’d split the difference between Clock and RIchard on this one. Russians under the Soviet system achieved some great heights. There were indeed some great authors, though some were “dissidents”, others wrote in exile, and even some Nobel winners remained unpublished in the USSR until after the Soviet fall, I believe. One wonders if those authors achieved greatness because of, or in spite of, Soviet censorship. And there were indeed some technological breakthroughs, including space exploration and military procurements. I think Americans will attest that MiG 17s and MiG 21s were pretty good machines. On the other hand, as Richard notes, the censorship environment didn’t produce much in the way of trickle-down benefits for ordinary Soviet citizens. In contrast, it seems the ordinary lives of Chinese citizens have improved progressively, particularly in the last 30 years. Of course, it is highly debatable whether censorship was, or would have been, necessary for said improvement. But from an innovation standpoint, China has not come close to the peaks that the Soviets attained. So it seems that censorship for the Soviets correlated with some notable peaks but without any sustained greatness, whereas censorship for the CCP has correlated with sustained mediocrity from an innovation standpoint. But Richard! The USSR did create fine gymnasts! And they got much better in basketball! One may argue the horrors of the USSR kept Anna Akhmatova writing. One may. One may state that they led to Shostakovich’s “Your business is rejoicing! Your business is rejoicing!” Stalinist parody. But the great Russian artists of the early 20th century cultivated their technique and and established their vision beyond the Soviet Union. It was the second generation of artists that, like Marina Tsvetaeva of the first, simply could not operate under such conditions and were suffocated. Ballet is an art the same way a jackhammer is a hammer. There is a better argument to be made for technology and scientific research in general. Just not a great one. If China wants to be a USSR, let it be. Can you explain the flight delays? Seriously, I’d love to hear your imput on this subject. Do try to bore us. This thing circles back to the whole “what does a country invest in” question that we had a few threads back. The USSR overwhelmingly invested in hard power assets–military & space–and artistic prestige projects. Everything else was pretty neglected (especially their consumer goods sector). The thesis I always have is that overinvesting in any area, regardless of the system of government, will produce diminishing, but marginally higher returns. What trips folks up, though, is that when you can’t utilize your investments, then the money is wasted. When I see the USSR’s overinvestment in its military and space, I see money wasted–I see tanks and helicopters that never fired a shot in anger, that did nothing except get smacked around by mujahideen in the mountains of Afghanistan or rust in some bunker in East Germany. Likewise, its prestige art projects never *did* anything for their average citizenry. The debate surrounding the *scale* of these achievements is moot; because tanks, helicoptes, satellites, gymnasts, and chess players are not ends in and of themselves but means to achieving greater national power. If the state is reluctant to actually use them properly, then the state shouldn’t be investing in them in the first place. This is what I think Deng understood and Mao didn’t, and what is reflected in Fallows’ book. The current Chinese top leadership at least has its eye on the ball in terms of making sure the overall promotion criteria rewards useful investment projects–but lower level officials all too often succumb to prestige and end up wasting money. Of course, adopting a predominantly market driven mechanism for capital allocation produces misallocations as well–mainly through speculative bubbles, such as creating thousands of houses in the middle of Florida that will never be lived in, or internet startups which fail, or junk bonds, etc. etc. The difference, though, is that the level of responsibility a market-economy government bears for those misallocations is much, much lower than what a statist government has to bear–and that is why, if an economic depression strikes America, no one is going to pin the blame on the Constitution, while if Chinese GDP shrank by 25%, the CCP would essentially dissolve. agree with everything you said. But I think you’re speaking to government priorities ie spending money for show vs spending money on something tangible (and preferably something of tangible benefit for its people at large). I think that’s somewhat different from the issue of innovation in the face of censorship. I think the latter is more of: can China/Chinese people create an Apple, instead of just making stuff for Apple; can China/Chinese people create a Google, instead of having a Baidu rip-off; can China/CHinese people create a Twitter, rather than mere copy-cats like QQ and Tencent and weibos. If not, then is censorship and/or excessive government control to blame? I think you’d actually be surprised at how much copying goes on in Silicon Valley, haha. The myth that startups come out of one entrepreneur having a brilliant flash of insight is just that–a myth. And China has produced some fairly innovative companies too–Alibaba, for one, and Huawei, for another. But regarding actual innovation–I think that takes more time, not because of the system at play, but rather because the consumer mentality and sophistication just isn’t there yet. Once that happens, don’t doubt for a second that Chinese firms will out-innovate and out-compete to win the RMB in those wallets. There’s a reason that Chinese people, like Jews or Lebanese, are considered a market-dominant minority by ethnographers. What James Fallows says about the conditions needed for a healthy aerospace industry also applies to many other areas of science and technology. I see similar things in the biomedical sector. China is throwing huge amounts of money into prestige projects that are the envy of cash-strapped western researchers. China also has a huge pool of well-educated and industrious scientists and researchers. However, the same underlying problems remain: weak ethical standards and rules (plagiarism and nepotism are rife in academia); lack of intellectual property protection, freedom of inquiry etc. In high risk industries such as aviation and medicine you need to have impeccable standards to gain and mantain trust – just look at how the reputation of Big Pharma in the west is now in tatters after so many safety data cover ups. China’s progress in science and technology is impressive, but it will be a while before its reputation in this area is seen as equal with the Japan, the US or Europe. t-co, I know Huawei and Alibaba are successful. But are they in the forefront of their industry’s technology? There’s also a gray area, in that Huawei (and maybe Alibaba?) acquired Western companies like 3Com with impressive track records in innovation. Chinese aviation companies did the same. Lenovo is another good example of an efficient, productive company with a lot of talent and some great designers. But nearly all of their innovation comes from what they proudly call “the triangle of innovation,” with most of their product developers and engineers in Yamato,Japan, Raleigh, north Carolina, and Beijing. Successful, yes. Industry leaders in innovation? Yes, when it comes to the ThinkPad, which is almost entirely engineered by foreigners and former IBM employees. About Silicon Valley — a lot of its innovations are started with a flash of inspiration. People with a purpose like Larry Ellison and Sergey Brin start with a vision, then seek the funding and support to see it through. Look at Facebook (even though it didn’t start in Silicon Valley). Ebay and Amazon. They were not formed by committee, but grew out of the germ of an idea that came from one or two innovators, just like Apple Computer in the 1970s. HP, too, started in a garage. I worked in Silicon Valley for three years and more than once saw this practice in motion. Most of my clients were start-ups driven by a single pioneer (or wanna-be pioneer, so many ultimately failed), so I am not going to say “the Silicon Valley myth” is a myth. There’s a large grain of truth to it. I don’t think I agree about the lack of flashes of insight. I suppose it’s debatable whether some of the American companies which have been hugely successful did in fact innovate from the ground up, or simply improved upon what was already in existence. Google didn’t invent search, but they revolutionalized it. Twitter didn’t invent SMS, but put it in a much nicer package. Even if you didn’t build the original mousetrap, it still represents innovation if you can build a better one. Jobs didn’t invent the telephone or cell phone, but…well, you get the idea. Alibaba copied eBay. Is it substantially better or more innovative than eBay? Huawei makes lots of smartphones, but where would they be without iPhone to lead the way? Or heck, even Blackberry if we’re talking true innovator of smartphones. I won’t say that censorship categorically prevents innovation; but I will say that censorship hasn’t correlated with all that much innovation up till now. If market forces are all that Chinese entrepreneurs were waiting for…what on earth are they still waiting for? BTW, I wouldn’t equate out-innovate with out-compete. I have no doubt that the CCP will tilt the playing field in favour of home-grown stuff every chance they get…just look at the examples that have already been brought up. But Chinese companies having a competitive advantage in China, up to this point, is not on the basis of them having more innovative (or even original, for that matter) products. Alibaba copied eBay. Is it substantially better or more innovative than eBay? Huawei makes lots of smartphones, but where would they be without iPhone to lead the way? As for Huawei, their main innovation wasn’t in smartphones, but attacking the cost end of telecom equipment. Before they came along, every telecom manufacturer competed on quality–and when they started attacking the market on the basis of cost, it took years before the Western companies like Cisco and Alcatel Lucent figured out an appropriate counter-strategy. I’d say they flipped entire telecom market upside down–the reason we have so much cheap bandwidth in Europe and Asia, and not North America, is because there are hundreds of thousands of cheap Huawei boxes in those countries powering the broadband network, while America is a gated country that only lets Cisco sell things. In essence they commoditized telecom, which I would say is as big an innovation as Microsoft turning operating systems from proprietary software into a tech standard (like standardizing railway gauges). I think you are conflating clever accounting and price undercutting with technological innovation (much of which Huawei gained after acquiring 3Com). I don’t consider finding clever ways to compete on a par with, say, inventing the steam engine. I also don’t put Bill Gates/Microsoft on my list of model innovators for their licensing of Windows; great business move, but hardly up there with true technological innovation. The Economist, in one of its weekly columns, puts the ideas of innovating and “copying” into some not-so-mainstream perspective. There have been objections, not least that it makes no noticeable difference between innovation and invention – but talking about the steam machine, two inventors, if I remember history correctly, were tinkering on similar devices back then, without even knowing about each other. That’s not how innovation or invention is working these days. A successful company knows its industry and its trends, worldwide. I agree with Richard. They were innovative in marketing, but that’s different than technological innovation. And Windows isn’t innovation either. They took a mousetrap and sold it better, rather than making the mousetrap better. Loved the book. Would love to be able to fly on my own in China. One little quibble: Cirrus does not make jets. The plane Fallows copiloted at the beginning of the book was a four passenger, single engine propeller driven aircraft. ‘Surrouding the cities from the rural areas’, ‘On Protracted War’, ‘On 10 Major Relations’, ‘On Conflicts’, without theoretical innovations by Mao, the CCP would not have even an inkling of a chance of seizing power. ‘No Matter it is a black cat or white cat, as long as it catches mice, it’s a good cat’, ‘socialism is not poverty’, ‘let a few get rich first’, ‘Socialist Market economy with Chinese characteristics’, ‘One Country Two Systems’, without these theoretical innovations, China would’ve crumbed by the late 80’s just like the USSR did. The fact that CCP survived the shock of ’89, and went on have ever greater vitality itself is proof of its creativity and adaptability. Did Western strategists ever envision, in the wake of 1989, that by 2012 China would be in its current state? Did Western strategists ever envision, when Hongkong got handed over in 1997, that it will be in its current state? When it comes to politics and economics, no other entity is as creative as the CCP. Those aren’t “innovations”; they’re just sayings, or slogans. That the CCP can come up with some catchy phrase or two is not a testament to the potential for technological innovation under the CCP’s system of censorship and information control…because it has nothing to do with technological innovation whatsoever. It’s just a CCP sales pitch. No doubt that the CCP gets creative when trying to find ways to justify her existence. Whether the people living under the CCP system can truly be creative is another story altogether. These are not mere slogans, there are actual theoretical underpinnings behind these slogans. No other organization is able to out-slogan and out-theoreticize the CCP. Mao has a saying, the CCP won China with the help of 2 things: the gun and the pen. KMT lost China cause it simply got out-debated by the CCP, both in radio, in newspaper, everywhere. The KMT lost China because the Japanese killed off all of their best officers and men in Battle of Shanghai and the Huaihai campaigns. If the Japanese had invaded China two years later, the CCP would not have really existed. —LOL. Theoretical underpinnings of what constitutes a good cat, or the euphemistic equivalent of “cat”. That’s a good one. Anyway, no argument from me that the CCP knows how to write slogans. Can they write slogans that don’t make people laugh or cringe? Perhaps. And still, absolutely nothing to do with technological innovation. THey can make slogans, but they can’t make an iPad…scratch that, they can “make” tons of iPads, but they can’t “invent” one. Speaking of Chinese aviation, it seems that six hijackers got their asses handed to them by a group of Chinese passengers and crew in Xinjiang–so badly, in fact, that two of the perps died en route to the hospital. In spite of the editorial plug to balance out the Global Times’ viewpoint by quoting Rebiya Kadeer’s ETIM, the reaction in the comments on that Daily Mail thread is mostly pro-China–by far the most pro-China reaction I’ve ever seen on a China story by a Western audience, ever. Interesting. GT reports on the boom in Chinese flight schools as more and more Chinese are buying private planes.